To study the effects of 1,25-dihydroxyvitamin D3 (1,25(OH)2D3) on the differentiation of T cells and the levels of cytokines in patients with early rheumatoid arthritis (eRA). The levels of Th1, Th2, Th17, and Treg cells were detected with BDFACS Calibur flow cytometer. The expression of IFN-ɤ, TNF-α, IL-2, IL-4, IL-6, IL-10, IL-17, and IL-22 was examined in 54 patients with eRA using a cytometric bead array (CBA). After 72 h of incubation of PBMCs from eRA patients with 1,25(OH)2D3, the levels of IFN-ɤ, TNF-α, IL-2, IL-6, and IL-17 significantly decreased compared to those of the control. 1,25(OH)2D3 had no significantly impact on the levels of IL-4, IL-10, and IL-22. The proportion of Th17 and the ratio of Th17/Treg significantly decreased in 1,25(OH)2D3-treated groups compared to those of the control. 1,25(OH)2D3 had no significantly impact on the proportion of Th1, Th2, Treg, and the ratio of Th1/Th2. Although no statistically significant difference was observed, proportion of Th1 was decreased after 1,25(OH)2D3 treatment compared with anti-CD3/CD28 only. 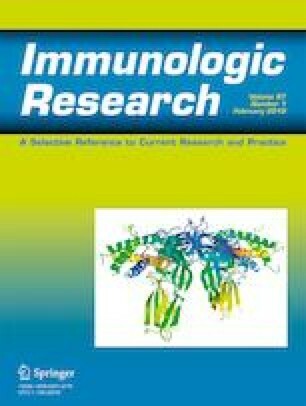 The present study demonstrated that 1,25(OH)2D3 inhibited the synthesis of specific cytokines: Th1 (IFN-ɤ) and Th17 (IL-17, IL-22, IL-6, TNF-α) might upregulated Th2 cytokine (IL-4), which indicated the possible immunoregulatory roles and bone-sparing effects of 1,25(OH)2D3 in eRA through modulation of the Th1 and Th17 cytokine balance. All authors were involved in drafting the article or revising it critically for important intellectual content, and all authors approved the final version to be submitted for publication, and took responsibility for the integrity of the data and the accuracy of the data analysis. Study conception and design: Hong-yan Wen. Acquisition of data: Hong-yan Wen, Jing Luo, Xiao-feng Li, Dan-dan Wei, and Yang Liu. Analysis and interpretation of data: Hong-yan Wen. Manuscript preparation: Hong-yan Wen. Statistical analysis: Hong-yan Wen. The authors thank Dr. Alexis Ogdie for reviewing the manuscript. This study was supported by research grants from the National Nature Science Foundation of China (no.81301532/H0603), Fund Program for the Scientific Activities of Selected Returned Overseas Professionals in Shanxi Province-2017, the Shanxi Science and Technology Research Projects of China (no. 201603D321074), and the Shanxi Scholarship Council of China (2017-119). The study was approved by the Research Ethics Committee of the Second Hospital of Shanxi Medical University and conducted in accordance with the Declaration of Helsinki (approval number 2013ky007).